In 2011, the Women’s Studies Department was awarded Kansas State University’s Outstanding Department or Unit Award for Enhancing Diversity. The award is given by the office of the provost to recognize departments and units that have made extraordinary achievements to enhance diversity within the department, college and university. Diversity is at the core of the women’s studies program, said Michele Janette, women’s studies department head and associate professor of English. 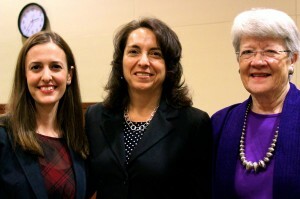 The women’s studies program was founded in 1978 to bring diversity to the university in several ways: to get women’s experiences, contributions and knowledge into curriculum; to support the recruitment and retention of women into the faculty; and to educate college students about women’s issues and women’s experiences. “We have continued this mission as well as expanding our understanding that gender is a social structure that affects all of humanity, and that it is not a monolith: Women and men do not experience their lives simply as gendered beings, but through many other categories of identity as well — including race, class, sexuality and geographic location — and that these various ways of categorizing people are interrelated and are infused with issues of power,” Janette said. The women’s studies department has a diverse student, faculty and staff body that includes underrepresented groups. All seven full-time faculty members are women and four of the seven are women of color. All faculty members are also engaged in projects that directly relate to gender, race, class and sexual diversity. In the past the women’s studies department has sponsored the Women of Color Film Series, which has brought to campus a variety of films by and about women of color. 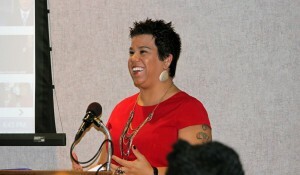 The department has also offered a Connecting Across Topics, or CAT, community course called Gender, Race and Class in American Culture, which is collaboratively taught by Valerie Padilla Carroll, an instructor in women’s studies, and Cheryl Ragar, an assistant professor of American ethnic studies. International diversity is also a key component in departmental activities. The department is developing study abroad opportunities in Mexico and Vietnam, and women’s studies faculty have active research collaborations with colleagues in Uganda and China. The department will continue to enhance diversity in the coming years. “We understand diversity as both seeking for inclusion, and also understanding the transformative power of difference: that when we take seriously the knowledges that are produced from different perspectives, we are challenged to transform ourselves, our culture and our ideas for the better,” Janette said. Vickie Choitz (BA Political Science and Secondary Education, Secondary Major Women’s Studies; MS Public Policy, Harvard University) was awarded the 2012 Young Alumni Award. Choitz, a Salina native, is a senior policy analyst with the Center for Law and Social Policy in Washington, D.C. She analyzes and advocates for federal and state workforce and postsecondary education policies that help low-income, lower-skilled adults access education, postsecondary credentials and family-sustaining careers. She regularly authors publications about strategies for helping low-income individuals access education and better jobs and makes frequent presentations to groups and associations on these topics. While at the university, Choitz received a research internship in London at the Institute for Public Policy Research, where she conducted comparative research on U.S. and U.K. welfare reforms and workforce development. She authored an official summary document on that subject for an institute book on welfare reform. She now lives in Washington, D.C., with her husband, Theodore Poppitz, also a K-State alumnus. In “Courting Trouble? The World-Historical Transformation of Love & Marriage,” Historian Stephanie Coontz discussed the fact that marriage has changed more in the past 35 years than in the previous 350 years. Coontz historicized marriage from the Stone Age to the Internet Age, saying that marriage has become fairer and more fulfilling than in the past, but also more optional and fragile, and what that means for our society and our personal lives. November 18th the department held a career panel to discuss the challenges and opportunities women face in law. Janice P. Dreiling, (BA, MA Sociology, KSU, 1966, 1969; JD, University of Tulsa College of Law, 1980), Loretta Martinez (BA Political Science, Yale, 1988; JD, Harvard Law, 1991), and Lory Stone (BA History and Women’s Studies, KSU, 2000; JD, Georgetown Law, 2004) gave real life advice to the K-State community about how to prepare yourself for a career in law and what a more feminist practice of law might look like. Tushabe, assistant professor of women’s studies, has been active in researching Ugandan politics and policies in regard to gender equality. Tushabe’s work explores the assumption that sexuality is a characteristic of all human beings and, indeed, has become a “fundamental aspect of individual identity” to the extent that it now defines a person’s essence. Departing from this premise, she elaborates the imbrication of sexuality discourse in human rights language and how this language impacts colonized peoples whose sense of humanity has been erased by colonialism. In her recent article, “Politics of Change: The Notion of ‘Giving’ and Feminist Struggle in Uganda,” Tushabe problematizes the “no change” paradigm in Uganda’s politics and the notion of “giving” power to women, showing how this approach has weakened gender activism for shared and decentralized power, influential public opinion, democracy and accountability. Focusing on Uganda’s politics under the leadership of president Yoweri Museveni since 1986, Tushabe explicates various ways in which women are positioned to remain locked in colonial-patriarchal institutions. Despite official policies of gender equity and a supposed ethic of accountability on the part of the government, Tushabe reveals that the presence of women at all levels of government does little to ameliorate decentralized power in Uganda. She proposes alternative transformative routes, ones that remain attentive to differences of people’s gender, class, region and age and insist on full governmental accountability as governments attempt to increase political participation and improving standards of living. This article appeared in the collection Regime Change and Succession Politics in Africa: Five Decades of Misrule, edited by Maurice N. Amutabi and Shadrack W. Nansong’o and published by Routledge Press. This fall, Tushabe was also awarded a Big 12 Fellowship to visit the University of Texas, Austin to share her research on historical and current constructions of homosexuality, and to develop an international conference and corresponding co-edited anthology on African sexualities. There she presented a portion of her research in a public forum open to the University of Texas campus community. The presentation is part of Tushabe’s book, Decolonizing Homosexuality in Uganda, which develops a decolonial methodology to understand the social, linguistic, legislative, moral and epistemic formations in indigenous Uganda resulting from the colonial construction of homosexuality since 1879 to present. Tushabe and colleagues at the University of Texas are addressing the real-world policy consequences of such understanding. In 2009, Uganda’s parliament introduced Bill No. 18, which criminalizes a person who knows about and does not report to the state police anyone who identifies as gay, lesbian or transgender. The bill seeks to institutionalize a death penalty for gays, lesbians and transgender people. Nigeria, Senegal, Cameron, Rwanda, Zimbabwe and Malawi have similar draconian laws. Tushabe and colleagues are organizing a conference to examine these legislative moves and movements to retain and regain sexual freedoms in Africa. The conference will lead to publication of an anthology on the topic. Thanks to the continued support of our founders we were able to award two outstanding Women’s Studies students with the Founders Scholarship for Academic Excellence scholarships over the last two academic school years. 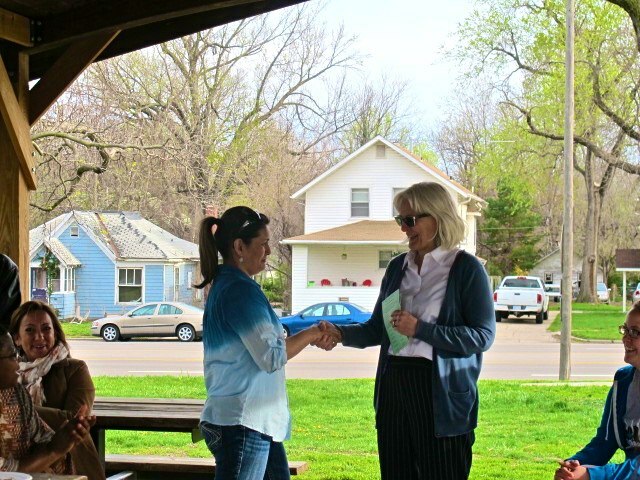 The 2012-2013 scholarship recipient was Marilyn Ortega. For Marilyn, a single motherand non-traditional student, this award signified our department’s commitment in helping her succeed. Ortega says, “For me it is more than just the financial aspect that makes this award so momentous. Being awarded the Founders Scholarship for Academic Excellence in Women’s Studies has been an affirmation that I am heading in the right direction here in academia.” We were delighted to be able to acknowledge her talents and achievements with the Founders Scholarship for Academic Excellence award, Congratulations Marilyn! Adena Weiser is the 2013-2014 recipient of the Founders Scholarship for Academic Excellence in Women’s Studies. Adena is a non-traditional student, returning to school after raising her son and retiring from the military. Adena says this award shows that she was seen as a “worthy investment” for our department and has inspired her to pay it forward. Weiser says that the award has enkindled her spirit and wants to “provide this same type of support to others while they pursue their education and dreams.” We are delighted that we were able to ignite the next “generation” to give and support others as they realize their dreams. Congratulations to you as well Adena! The Founders Scholarship has made it possible to offer one $500 scholarship to a student for the past three years. We would love to be able to increase that scholarship, and hope to be able to offer more than one scholarship in the future. Given the rising costs of education, this would be a wonderful time to consider supporting this scholarship, either by contacting our development officer, Sheila Walker, sheilaw@found.ksu.edu, 785-532-7568, or contributing directly online at www.found.ksu.edu/womstscholars. CONGRATULATIONS 2011-2013 WOMEN’S STUDIES GRADUATES! Madeline Wetta (BA in English Literature & Women’s Studies 2012) studied abroad in Morocco during her last semester of school at KSU and after graduating she moved home to Lawrence, KS. She now works at the University of Kansas in the Center for Research on Learning and has just been promoted to the position of Project Coordinator. Madeline works on projects that provide professional development to secondary teachers that focuses on promoting successful transitions to adulthood for all students, including those with disabilities. Madeline plans to keep her current position for the next 3 to 5 years while she pursues a graduate degree that will allow her to work with youth transitioning through the juvenile justice system or child protective services in some capacity. Melisa Posey (BA in Women’s Studies 2011) returned to Kansas State University to complete her MS in College Student Development with an emphasis in Administration. Melisa will be teaching an Introduction to Women’s Studies course this coming spring and is looking forward to completing her Master’s work in 2014. 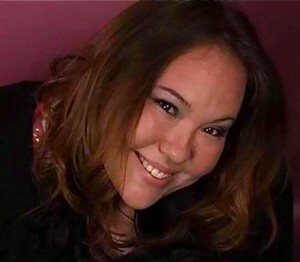 Jessica Haymaker (BS in Social Work, Minor in Women’s Studies & Leadership Studies 2009) After graduation she went on to work the Crisis Center, Inc. – Manhattan’s local domestic violence/sexual assault agency. Jessica went on to get her Master’s degree from KU in Social Work, and is currently at the Kansas Coalition Against Sexual and Domestic Violence (a statewide nonprofit) as their Rural Sexual Assault Services Coordinator. She works primarily with the organization’s most rural programs to improve their capacity to serve sexual assault survivors. Stefani Schrader (BA in English & Women’s Studies 2007) recently moved back to Manhattan to take the position of box office manager at McCain Auditorium. She had been working as the Development Director at the Art Center in Salina, and now welcomes her return to campus and the college community. In the Spring of 2013, Marilyn Ortega (then President of Triota) registered Triota as a KSU student organization. Triota started off running and led by current Vice-President Adena Weiser, Triota was able to secure funding to bring Rosa Clemente to campus during the fall semester of 2013! The group held its first fundraiser this year at Purple Swirl during Homecoming Weekend and is looking to do a possible art show fundraiser during the spring semester of 2014. If you are a part of Triota(remember we are a lifelong organization!) and would like to be kept up-to-date about meetings and future endeavors please contact current President, Mallorie McLaughlin at mal1223@ksu.edu so that we can update your information in our listserv! The K-State Women’s Studies Department enjoys hearing from its alumni and former faculty. Feel free to contact us and let us know what you have been up to! Please include your name, degree, graduation year and a current way to contact you. We would like to hear about your career, family and any other news you would like to share. Send us an email at womst@ksu.edu.